Do you worry about falling? Not seeing as well as you used to? Do you suffer with tight muscles or joints? Pain that no one can fix? Or would you just like to improve your golf or tennis game? Your brain needs data from 3 systems to figure out how to move you, to fuel you, and to protect you. If something goes wrong with your input, something will go wrong with your output. Fixing a problem or upping your game can be as easy as restoring the quality of your data. Our 3 Pillars STRONG program does exactly that: improves your input. Each participant receives a workbook—and homework—tailored to the individual using our unique assess/re-assess system. 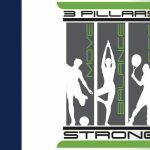 If you’d like to Balance Better, See Better, and Move Better, register for the next 3 Pillars STRONG session coming in January 2019 and work with a Certified Z-Health Movement Integration Specialist.